Inground Pool Domes - Dome Heater - Ameri-Brand Exclusive! Designed and Engineered by Ameri-Brand! See our field test results. Another reason why Ameri-Dome is BY FAR the Best Selling Dome in the Pool Industry! Do you live in an area that gets below 40 F? Not sure if a Pool Dome will work in your area? We have good news for you! The Ameri-Dome Heater makes swimming in nearly any climate a Totally Comfortable Experience! Imagine this scenario: It's fall, winter, or spring and 40 degrees outside. The blower on your dome is injecting the 40 degree outside air into the interior of the dome to keep it up. Swimmers have left the 85 degree pool water and want to sit on the pool deck and relax. There's a 45 degree difference in the the pool water temperature and the cold air being blown onto the people on the deck. If not unhealthy, it's at the very least very uncomfortable. With a dome heater, under this scenario, the air being brought into the dome would be a very comfortable 70 degrees (+ -) 3 degrees. If you believe you may need a dome heater along with your new dome this season, we encourage you to place your order as soon as possible as we are only able to produce a few hundred per year. If you live in the southern part of the country and are not sure a Dome Heater is needed in your locality, just let us know when you order your Ameri-Dome and we'll setup your dome package so if you later decide to purchase a Dome Heater, you'll be ready to go. There is No extra charge for this service. How it Works: The Ameri-Dome Heater simply "borrows" heat from the pool water, using no electricity. By turning on your pool pump and opening a valve, some of your warm pool water is routed through your dome heater coils. As the air is forced into the dome to keep it inflated, it passes over these heated coils and is warmed as it enters the dome. The Ameri-Dome Heating unit is specifically designed for the Ameri-Dome. Heats dome only when you want it to. Increases air temperature inducted into the dome by a significant amount by pre-heating cold air before it enters the dome. This creates a level of comfort for you even in the coldest of conditions. Be sure to see our field test results. Easy set-up & zero maintenance. 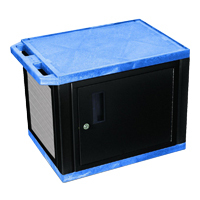 Greatly reduces the possibility of snow build-up on top of your new dome. With an Ameri-Dome Heater, domes will last longer because the vinyl is kept more pliable and provides better flexibility in both icy & windy conditions. Greatly decreases humidity levels and fogging in the dome! No additional electricity required. Heat is provided by diverting a small portion of the hot water coming from your pool heater through our Dome Heater. Your existing pool pump forces the hot water through the heat exchange coils. Any air entering the dome must pass over the heated coils as it enters the dome. Compact powder coated steel housing. Only $955.00 with purchase of Ameri-Dome. Order your Ameri-Dome Heater today! Also, See the Video Below! any questions about our innovative products! If you live in an area that experiences very cold temperatures, 25 F or colder, the water to the Dome Heater must be turned off and the Dome Heater must be drained. Compressed air needs to be blown through the hose and Dome Heater. Water left in the Dome Heater may freeze and rupture the tubing. The Garden Hose should be insulated. By insulating the Garden Hose, less heat is lost on the way to the Dome Heater, therefore, making it warmer inside the Dome and this also helps to keep the Hose from freezing and rupturing. If the dome heater coil is allowed to freeze, it can rupture. The manufacturer of the coils does not warrant them against freezing. If needed. replacement coils are available for purchase and can be installed locally.